YAH collection is continuing to expand in Europe with the fresh release of Starbucks You Are Here Geneva mug. The color scheme is pretty interesting. The front of the mug is mostly green. As I mentioned before, October brought us two Switzerland releases. This is the second You Are Here Mug – Lucerne. It is as colorful as other two Swiss YAHs and is probably designed by the same person. Lucerne is a very popular touristic destination due to it’s location on the shores of Lake Lucerne and within visibility of Pilatus and Rigi mountains. 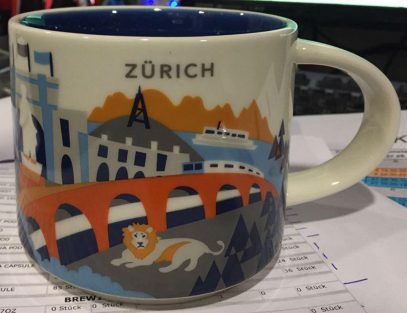 We only had Zurich from this “square flag country” and voila, two new mugs has been released this October. – Switzerland has four national languages: French, German, Italian and Rhaeto-Romantsch (with Latin roots). English is increasingly popular – 60 percent of the population are proficient in English. 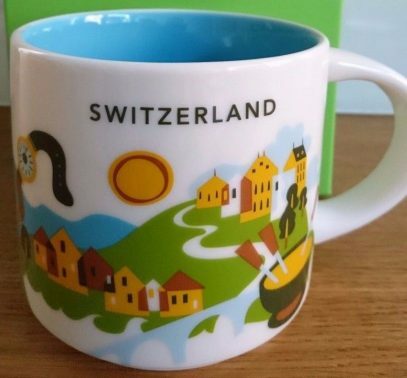 This Icon mug came from Switzerland. Red is used as its theme color. 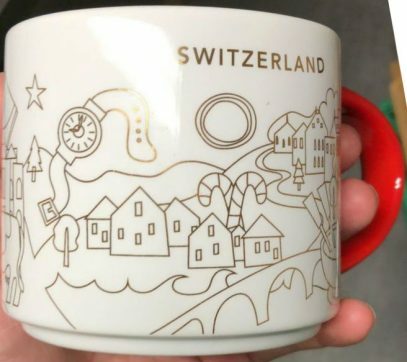 Chalet can be seen on the front of the mug and Grindelwald First Lake on the back. 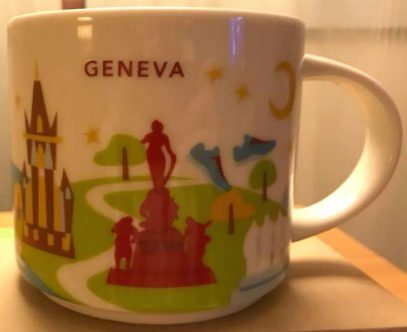 This Icon mug came from Geneva, Switzerland. Red is used as its theme color. 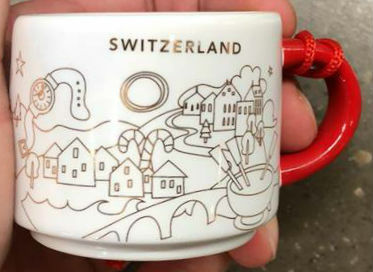 Jet d’ Eau can be seen on the front of the mug and Geneva Skyline on the back. 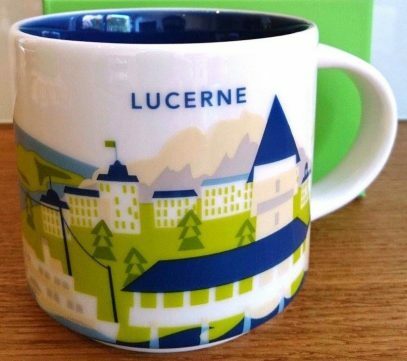 This Icon mug came from Lucerne, Switzerland. Blue is used as its theme color. 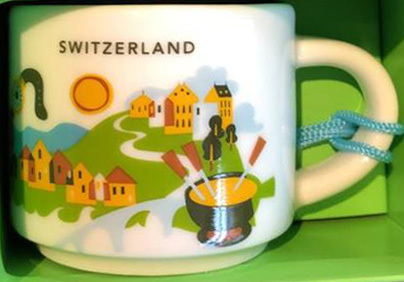 Rigi Railway can be seen on the front of the mug and Kappelbrücke on the back.